Kirstjen Nielsen, the US Homeland Security Secretary who oversaw Trump administration’s controversial immigration policies, has resigned. 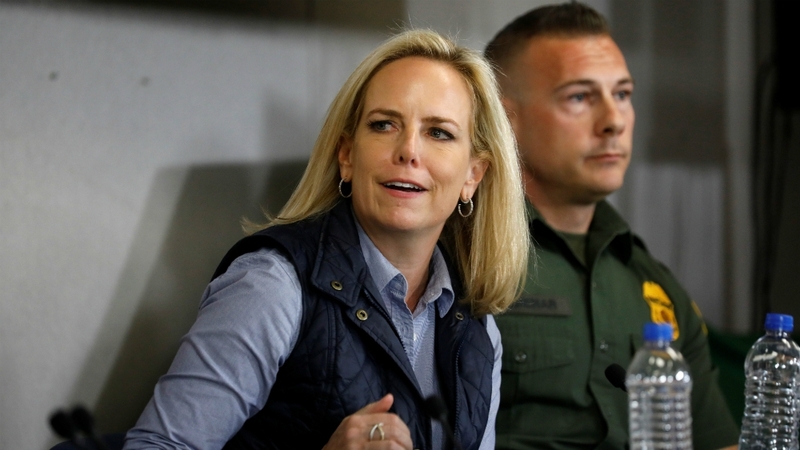 Donald Trump announced Nielsen’s departure on Sunday, underscoring the president’s intent to toughen immigration policy amid a surge in border crossings along the southern border. A senior administration official said Trump, who has recently expressed growing anger about the situation at the border, asked for Nielsen’s resignation. Kevin McAleenan, the current US Customs and Border Protection commissioner, would become acting DHS secretary. “I have agreed to stay on as Secretary through Wednesday, April 10th to “assist with an orderly transition”. Jeff Hauser, a lawyer and executive director of the Revolving Door Project, which examines government appointments, believes Trump has influenced Nielsen’s decision to resign. Bill Schneider, a political analyst and public policy professor at George Mason University, said Nielsen’s resignation reflects Trump’s vision for tougher immigration policies. Her relationship with the president had long been said to be difficult. But despite reports he complained constantly about her performance – and that he believed she was not harsh enough – she remained steadfastly loyal. “Nielsen is not a showman, she’s not a good actor in this television show that Trump is producing of racism and bigotry at the border, and so I suspect in time he needed to get someone in that positon he felt could ratchet up pressure and increase attention at the border,” said Hauser. Trump has made a clampdown on illegal immigration a centrepiece of his two-year-old presidency, leading chants of “Build that wall” at his rallies as he has sought to cut back on the number of immigrants entering the US without proper documentation.